Police are appealing for the public’s help to trace missing woman from Blyth. Natalie Knighting was last seen at an address on Coomassie Road on Saturday, September 24 and was reported missing last Wednesday. 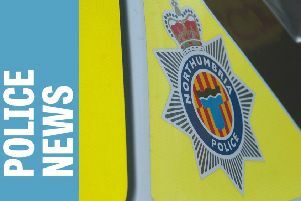 It is believed the 36-year-old had plans to travel from Blyth to Bedlington and has not been seen or heard from since. She is described as being 5ft 6ins tall and having a slim build and blonde hair. She was last seen wearing a tartan jacket and bleached blue jeans. She could also be using a blue giant push bike. Police are concerned for Natalie’s welfare and are asking her to make contact with them so they know she is ok. Anyone who recognises her or sees a blue giant push bike is also asked to call straightaway. If you have any information to help officers with their inquiries, please contact Northumbria Police on 101 – quoting reference 220 28/09/16.